Cécile said: "In Nancy, we have one bookstore "Le Hall du livre" (rue Saint Dizier, on the opposite of the McDonald's, downtown) which has ranges of books in English, Spanish & other languages. " Le Hall du Livre is also known as “La librairie promenade” and it really offers a pleasant promenade to all its visitors. 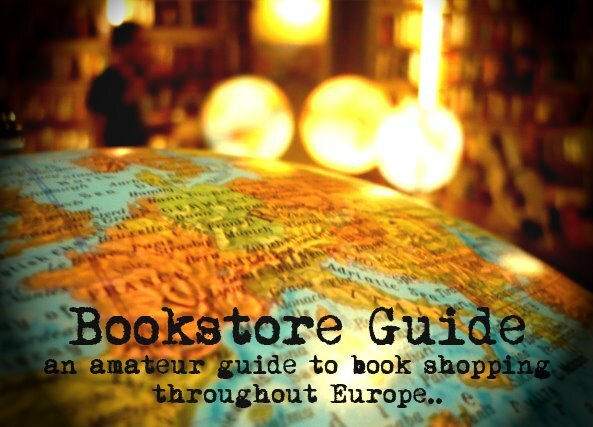 While strolling through its three floors, you can find many other interesting things besides books – CDs, DVDs, classy postcards, a selection of international newspapers and lots of other stuff you wouldn’t expect to find in a bookstore. Nonetheless, Le Hall du livre is a bookstore above all, and books are its primary focus. The bookstore mainly focuses on fiction books, but it also has sections dedicated to art, history, biographies and even science fiction. 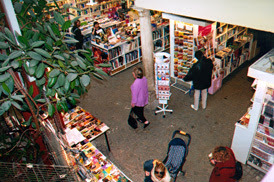 Although most of the books in this store are in French, it also offers a selection of books in foreign languages, mainly in English. Another interesting thing about this store is the fact that it is also open on Sundays. The bookstore doesn’t sell second hand books, but the prices of the new English books (according to the catalogue available at their website) mostly seem to be in a reasonable range from 8 to 15€. Located in the center of Nancy, Le Hall du Livre belongs to the group “Librairies Privat”, a network uniting independent bookstores in France and Belgium. While this used to be a good library, now that it has changed owners, there is not such a wide variety of novels. I would not recommend it now, as the last time that I went there were barely any books on the shelves. However, they do have a great choice in music downstairs. As from December 26 décembre 2013, Le Hall du Livre is owned by Éditions Gallimard.